Summer entertainment isn't complete without the annual circus or small town carnival. 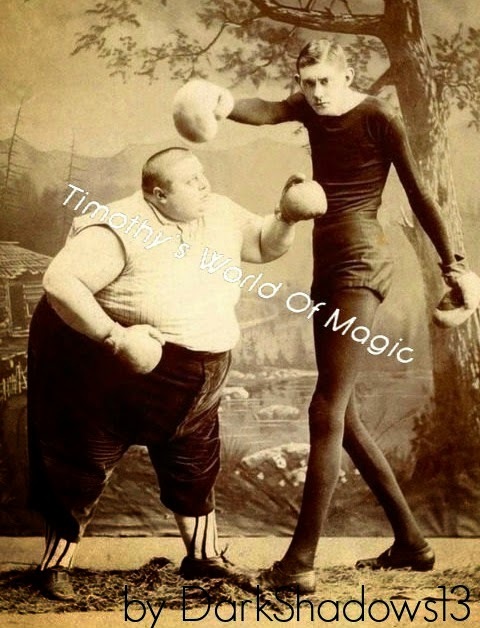 From the billowing tents to the side show curiosities, all eyes are wide open in wonder and amazement. These Etsy up-cycle artists have circus-inspired work perfect for preserving the summer side show vibe year round! The Rekindled Page! Check out this Etsy artist's vast selection of vintage dictionary prints to compliment the circus theme. 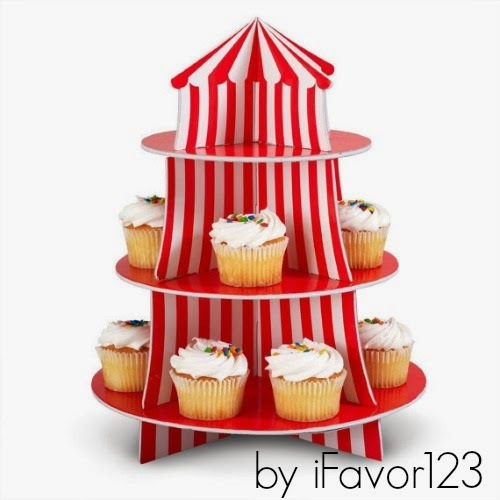 Party cupcakes take center stage in a tiered circus tent stand! Once the festivities are over, let the kiddos use the stand in their own small scale circus play. Pick up this cutie and all the coordinating party papers at iFavor123. Carnival themed necklaces keep the curiosity magic alive! 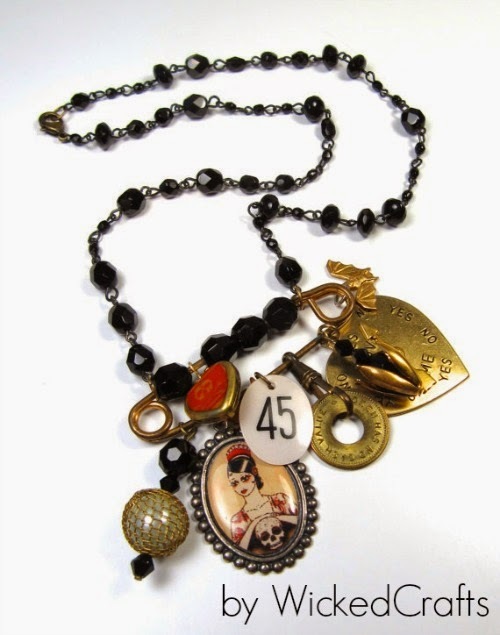 Take a walk on the wild side at Wicked Crafts where hand-crafted jewelry mingles with intriguing vintage gems. Bring the Side Show home with vintage images from Dark Shadows 13. 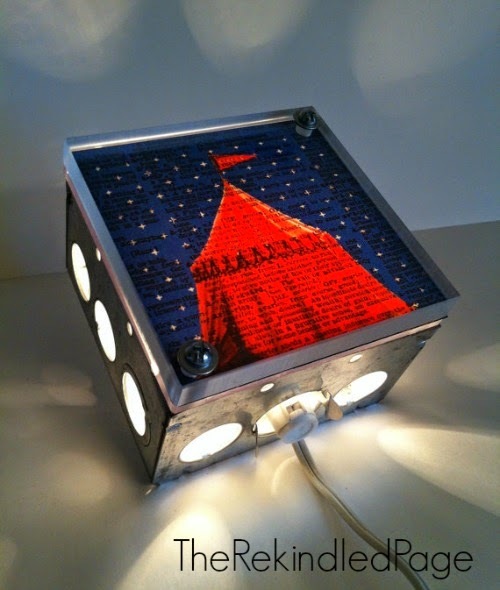 Mingle modern memorabilia with the true flavor of old time oddities for carnival fans of all ages! 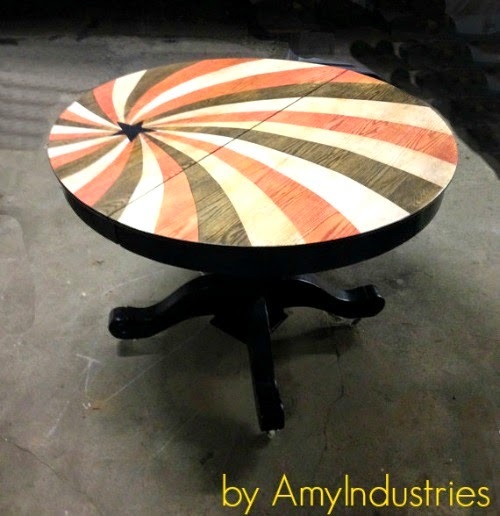 Liven up the décor with this whimsical circus-themed table from Amy Industries. All tables dream of being up-cycled into such a family-fun phenom! For more circus style fun search recycled circus on Etsy.